Two years ago, journalists uncovered secret, unofficial waiting lists at the Phoenix VA. Forty veterans died while waiting for care. Investigations followed – from the VA Inspector General, Congress, and the White House – and uncovered that the problems of long and manipulated waiting times were not limited to Phoenix, but affected tens of thousands of veterans across the country. In response, Congress passed and President Barack Obama signed the Veterans’ Access, Choice, and Accountability Act. This law included a new veterans’ choice program that would (theoretically) allow patients to go outside of the VA system when they faced a waiting time of 30 days or more, or if they lived more than 40 miles from the closest VA facility. This is no surprise. Just this spring, a report from the VA Office of the Inspector General revealed that 21 of 38 facilities investigated were still using “improper scheduling.” This means they would (among other erroneous practices) record a patient’s desired date as his actual appointment date, reflecting no waiting time. But the latest report from the Commission on Care isn’t yawn-worthy because it’s just the latest installment in a constant stream of bad reports on the VA. It should be an outrage and a warning about what we can expect from any government-run health system. Simply put, government bureaucrats don’t have the information that markets do and therefore can’t respond quickly when there is a mismatch in supply and demand. 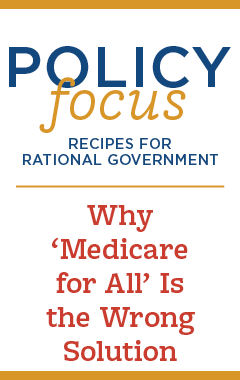 When government-run health systems run into the inevitable problems (most frequently more patients need more care than providers can offer), the result is either explicit rationing or implicit rationing. Explicit rationing means making rules about who can have what treatments and when, according to cost-effectiveness as determined by a government body. Americans typically reject this obvious attempt at limiting access to health care. Implicit rationing accomplishes the same purpose, but uses means that are less easily recognized. One form of implicit rationing is long wait times. The United States – although our healthcare system deteriorates each day under the government-centric Affordable Care Act – has traditionally offered some of the shortest waiting times in the world when it comes to accessing health care. That is, unless you are a veteran. The sad irony is that we’ve trapped some of our most esteemed citizens in a second-rate, bureaucratic VA system. 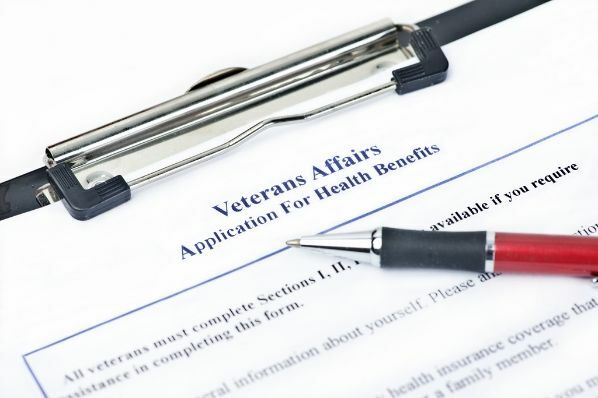 The VA is even more limiting than other government programs, like Medicare and Medicaid, where patients have access to a wider variety of providers. This limitation is what Congress attempted to address with legislation in 2014. But this latest report shows we still have a long way to go toward solving the problem. The Commission concluded that the new choice program is flawed in both design and execution, and recommends expanding vets’ access to private providers. We should go even further. The real flaw in the 2014 legislation was that it left in place too many complicated guidelines for when and how veterans could go outside of the system to get more timely care. Veterans deserve the best our healthcare system has to offer; they should be free to see any provider, any time, no matter if the provider is technically a VHA provider or not. The American people agree: A March 2016 Gallup poll found that 91 percent of Americans believe veterans should be able to see any practitioner who accepts Medicare. We would be hard pressed to find another issue with this kind of support. The latest Commission on Care report is far from the first time we’ve heard about trouble within the VA. But it should be the last. Congress and the president should act now to fundamentally transform the VHA to offer veterans maximum choice and access to timely, high-quality care wherever they choose to seek it.